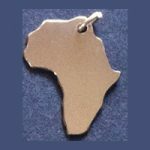 Beautiful shiny 14KY/20 gold fill outline of Africa with rhino shape hand cut out. Approx 1.25″ (3cm high) excluding the bale. 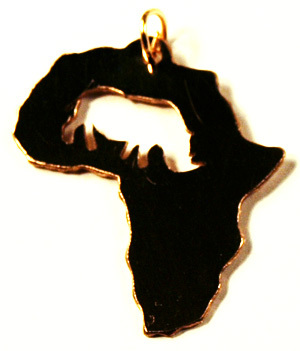 Beautiful shiny finish pure 14/20KY gold fill Africa shaped handmade pendant with cutout rhino figure. 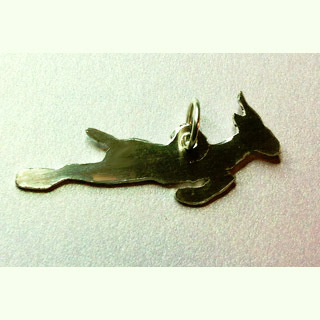 Approx 1.25″ (3cm high). 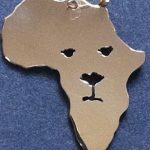 Handmade so each is a unique original. Larger bale (ring) so that it will fit most chains and leather cords.